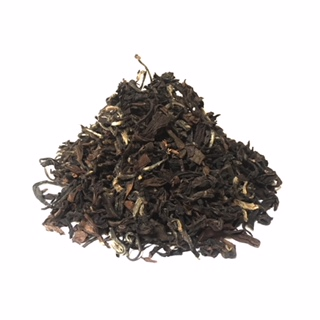 Top grade White Tip Oolong made up of aromatic wiry brown leaves with white tips. Enchanting smooth taste with a hit of peach sweetness top note. Clear bright amber color brew. A special Oolong produced only in Taiwan.